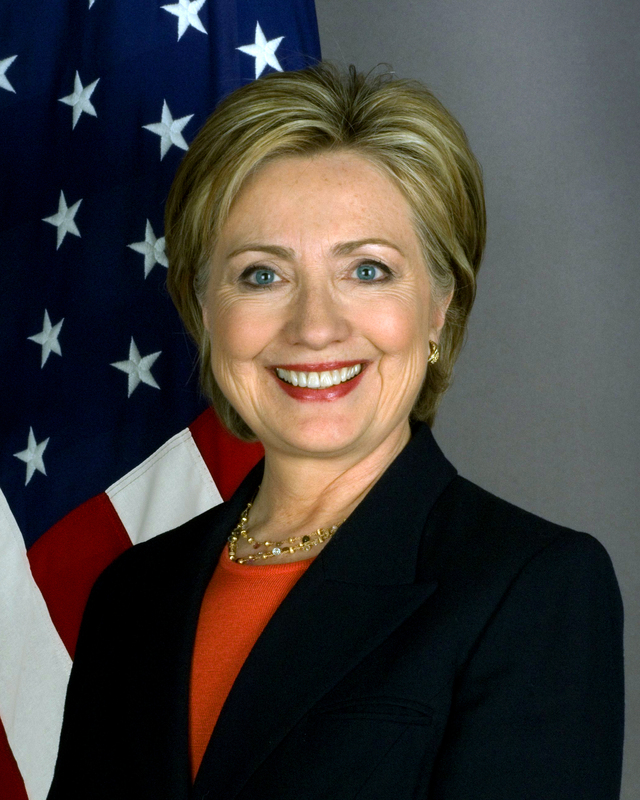 Hillary Clinton, secretary of state during President Barack Obama’s first term and a former U.S. senator (D-NY), was the 2016 Democratic presidential candidate. She lost to Donald Trump in the November 2016 elections. Clinton has a clear track record of supporting aggressive U.S. foreign policies. She voted in favor of the 2003 invasion of Iraq as a senator, and advocated for an array of interventionist policies concerning Libya, Syria, Iran, and elsewhere as secretary of state. One observer noted that this was a “a deliberately stronger formulation than Mr. Obama’s ‘all options are on the table’” with respect to Iran. Clinton also stated that as president she would “sustain a robust military presence in the [Persian Gulf] region” and “increase security cooperation with our Gulf allies.” Simultaneously, however, she stated that Saudi Arabia was responsible for fostering much of the Muslim extremism in the world. “Much of the extremism in the world today is the direct result of policies and funding undertaken by the Saudi government and individuals. We would be foolish not to recognize that,” she declared. Clinton has has ties with prominent neoconservatives. For instance, Robert Kagan served on Clinton’s foreign affairs policy board during her tenure as secretary of state. Kagan’s track record includes cofounding with neoconservative pundit Bill Kristol the ultra-hawkish Project for the New American Century as well as its successor organization the Foreign Policy Initiative. Sen. John McCain (R-AZ), who is renowned for being one of the Senate’s more staunch hawks, once described Clinton as a “rock star” and said it would be a “tough choice” to support either her for president or—should he to become the Republican nominee—non-interventionist Sen. Rand Paul (R-KY). Mark Salter, a former chief of staff to McCain who has been described as a “neocon fellow traveler,” also said that if Paul were to win the Republican nomination, “Republican voters seriously concerned with national security would have no responsible recourse” but to support Clinton. 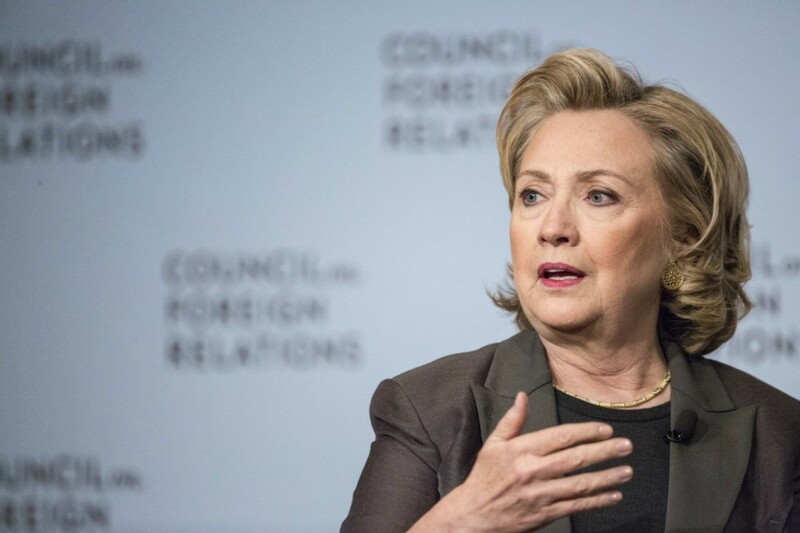 During her first several years as secretary of state, Clinton advocated a hardline on Iran. In 2009, she sought to develop a “policy to unite the Arab autocracies in an anti-Tehran bloc,” an idea that was shot down by the White House. Clinton was also regarded as a central force prodding President Obama to impose unprecedentedly severe sanctions on Iran during his first term. On the other hand, Clinton has sought credit for initiating a diplomatic process with Iran that eventually led to the 2015 nuclear deal between Iran and the P5+1 world powers. In 2012, her then deputy chief of staff, Jake Sullivan, established back channel communications with Iran via Oman, which have been hailed as an “important step in the path to” a nuclear agreement with Iran. “The overture to Iran started while she was in office with Jake Sullivan, her then-deputy chief of staff, who remained on the negotiating team until November. Sullivan, now her senior policy adviser, was more skeptical than others. If need be, Clinton can still distance herself from the deal reached in July by disagreeing with how it is finalized,” the New York Daily News has reported. Clinton has occasionally disagreed with Saban. During a December 2014 discussion between her and Saban at the Brookings Institute, Clinton dismissed Saban’s suggestion that the Obama administration had offered “too many carrots” in its negotiations with Iran. “My bottom line is that a deal that verifiably closes all of Iran’s pathways to a nuclear weapon—and the key there is verifiably, and all, including covert efforts—that is what is at the center of this negotiation,” she said in response to Saban. Other observers have noted Clinton’s strong ties to influential constituencies going back to her time as a U.S. senator for New York as playing a role in her views on Israel. “Her tenure as senator would establish two important New York political constituencies that continue to influence Clinton’s political destiny: the strongly pro-Israel Jewish community and Wall Street bankers, both of them political retainers that pull strings and are now potential political liabilities to manage in a long, expensive campaign,” Daily Kos opined in May 2015. In March 2010, after Israeli Prime Minister Benjamin Netanyahu announced the construction of new settlements on the same day as Vice President Joe Biden’s visit to Israel, Clinton reportedly had a “furious” 45-minute phone conversation with Netanyahu in which she stated Israel had violated the understanding it had with the United States to freeze its settlement construction. On the other hand, during her August 2014 interview with Jeffrey Goldberg, Clinton claimed that “you can’t ever discount anti-Semitism” when it came to the “enormous international reaction against Israel” during the 2014 Gaza war. “This reaction is uncalled for and unfair,” Clinton opined. The conflict cost the lives of over 2,200 Palestinian civilians, including over 500 children, as well as of six Israeli civilians. In July 2015, Clinton wrote a letter to Haim Saban in which she affirmed her staunchly “pro-Israel” stance and expressed “alarm” over the Boycott, Divestment, and Sanctions Movement (BDS) against Israel. “I have made it clear that America will always stand up for Israel—and that’s what I’ll always do as President,” she proclaimed. Clinton also noted in the letter that she is “very concerned by attempts to compare Israel with South African apartheid” and again raised the specter of anti-Semitism as being behind some of the criticism of Israel. “[A]t a time when anti-Semitism is on the rise across the world—especially in Europe—we need to repudiate forceful efforts to malign and undermine Israel and the Jewish people,” she said. Tom McCarthy, “Hillary Clinton: Foreign Policy is her Strong Suit-But it could be her undoing,” The Guardian, April 2, 2015, http://www.theguardian.com/us-news/2015/apr/02/hillary-clinton-foreign-policy-2016-presidential-campaign. Conor Friedersdorf, “Hillary Clinton’s Foreign Policy Isn’t ‘Muscular’—It’s Bellicose,” The Atlantic, September 10, 2015,http://www.theatlantic.com/politics/archive/2015/09/stop-calling-hillary-clintons-foreign-policy-tough-and-muscular/404608/. Doug Bandow, “With Democrat Hillary Clinton Likely 2016 Neoconservative Standard Bearer, Republicans Should Offer A Real Alternative—Such As Rand Paul,” Forbes, August 18, 2014,http://www.forbes.com/sites/dougbandow/2014/08/18/with-democrat-hillary-clinton-likely-2016-neoconservative-standard-bearer-republicans-should-offer-a-real-alternative-such-as-rand-paul/2/. Michael Tomasky, “So How Hawkish Is Hillary Clinton?” Daily Beast, August 13, 2014,http://www.thedailybeast.com/articles/2014/08/13/so-how-hawkish-is-hillary-clinton.html. Peter Beinart, “What’s Missing From Hillary’s Iraq Apology,” The Daily Beast, June 9, 2014,http://www.theatlantic.com/international/archive/2014/06/whats-missing-from-hillary-clintons-iraq-war-apology/372427/. Nick Gillespie, “Face It: A Vote for Hillary Clinton Is a Vote for War,” The Daily Beast, January 14, 2016,http://www.thedailybeast.com/articles/2016/01/14/face-it-a-vote-for-hillary-clinton-is-a-vote-for-war.html. James Mann, “On Realism, Old and New,” American Prospect, Fall 2014, http://prospect.org/article/realism-old-and-new-0. Ryan Cooper, “Why won’t Democrats attack Hillary Clinton for her hawkish foreign policy?” The Week, October 16, 2015, http://theweek.com/articles/583450/why-wont-democrats-attack-hillary-clinton-hawkish-foreign-policy. Sean Illing, “Hillary Clinton’s glaring vulnerability: Why Bernie Sanders must call out her militant foreign policy,” Salon, September 14, 2015,http://www.salon.com/2015/09/14/hillary_clintons_glaring_vulnerability_why_bernie_sanders_must_call_out_her_militant_foreign_policy/. David Sanger and Amy Chozick, “Hillary Clinton Backs Iran Nuclear Deal, With Caveats,” The New York Times, September 9, 2015, http://www.nytimes.com/2015/09/10/us/politics/hillary-clinton-backs-iran-nuclear-deal.html?ref=politics&_r=1. Glenn Greenwald, “HILLARY CLINTON GOES TO MILITARISTIC, HAWKISH THINK TANK, GIVES MILITARISTIC, HAWKISH SPEECH,” The Intercept, September 9, 2015, https://theintercept.com/2015/09/09/hillary-clinton-goes-militaristic-hawkish-think-tank-gives-militaristic-hawkish-speech/. Ben Kamisar, “Clinton allies hit Sanders on national security,” The Hill, January 19, 2016,http://thehill.com/blogs/ballot-box/presidential-races/266320-clinton-allies-hit-sanders-on-national-security. Adam Gabbatt and Lauren Gambino, “Sanders upends foreign-policy critique by Clinton experts: ‘I was right’ on Iraq,” The Guardian, January 19, 2016, http://www.theguardian.com/us-news/2016/jan/19/bernie-sanders-foreign-policy-experts-hillary-clinton. State Department, “Inaugural Meeting of Secretary Clinton’s Foreign Affairs Policy Board,” December 5, 2011,http://www.state.gov/r/pa/prs/ps/2011/12/178274.htm. Jacob Heilbrunn, “The Next Act of the Neocons,” The New York Times, July 5, 2014,http://www.nytimes.com/2014/07/06/opinion/sunday/are-neocons-getting-ready-to-ally-with-hillary-clinton.html?_r=0. Tal Kopan, “John McCain on Hillary Clinton or Rand Paul? ‘Tough choice,’” Politico, July 31, 2013,http://www.politico.com/story/2013/07/2016-election-hillary-clinton-rand-paul-94968.html. Timothy Noah, “Fathers and Sons,” The New York Times, January 13, 2008,http://www.nytimes.com/2008/01/13/books/review/Noah-t.html. Michael Hirsh, “Hillary Clinton Steps Away from Obama on Foreign Policy,” The National Journal, March 17, 2014,http://www.nationaljournal.com/magazine/hillary-clinton-steps-away-from-obama-on-foreign-policy-20140317. Michael Hirsh, “The Clinton Legacy,” Foreign Affairs, May/June 2013, https://www.foreignaffairs.com/articles/united-states/2013-04-03/clinton-legacy. Kim Ghattas, “Hillary’s Clinton distinctive foreign policy vision,” NY Daily News, April 27, 2015,http://www.nydailynews.com/opinion/kim-ghattas-hillary-clinton-foreign-policy-vision-article-1.2198091. Dough Bandow, “With Democrat Hillary Clinton Likely 2016 Neoconservative Standard Bearer, Republicans Should Offer A Real Alternative — Such As Rand Paul,” Forbes, August 18, 2014,http://www.forbes.com/sites/dougbandow/2014/08/18/with-democrat-hillary-clinton-likely-2016-neoconservative-standard-bearer-republicans-should-offer-a-real-alternative-such-as-rand-paul/2/. Kim Ghattas, “Hillary’s Clinton Distinction foreign policy vision,” New York Daily News, April 27, 2015,http://www.nydailynews.com/opinion/kim-ghattas-hillary-clinton-foreign-policy-vision-article-1.2198091. Ken Thomas and Julie Pace, “High Political Stakes for Hillary Clinton on Iran Nuclear Agreement,” Huffington Post, April 4, 2015, http://www.huffingtonpost.com/2015/04/04/hillary-clinton-iran_n_7003450.html. Kim Ghattas, “Hillary’s Clinton distinctive foreign policy vision,” New York Daily News, April 27, 2015,http://www.nydailynews.com/opinion/kim-ghattas-hillary-clinton-foreign-policy-vision-article-1.2198091. Matthew Yglesias, “Hillary Clinton makes the case for Obama’s Iran nuclear deal,” Vox, July 14, 2015,http://www.vox.com/2015/7/14/8966945/hillary-clinton-statement-iran-deal. Robert Parry, “Is Hillary Clinton a Neocon-Lite?” Consortium News, February 10, 2014,https://consortiumnews.com/2014/02/10/is-hillary-clinton-a-neocon-lite/. Philip Weiss, “‘Everything Hillary Clinton will do will always be for Israel’ — Saban warns the Republicans,” Mondoweiss, April 18, 2015, http://mondoweiss.net/2015/04/everything-clinton-republicans. Suzanne Maloney, “Addressing America’s Challenges in the Middle East, Hillary Clinton Backs Diplomacy with Iran,” Brookings, December 7, 2014, http://www.brookings.edu/blogs/markaz/posts/2014/12/06-hillary-clinton-saban-israel-iran-nuclear. Jeffrey Goldberg, “Hillary Clinton: ‘Failure’ to Help Syrian Rebels Led to the Rise of ISIS,” The Atlantic, August 10, 2014, http://www.theatlantic.com/international/archive/2014/08/hillary-clinton-failure-to-help-syrian-rebels-led-to-the-rise-of-isis/375832/. Aaron David Miller, “Would Hillary Be Good for the Holy Land?” November 11, 2014,http://foreignpolicy.com/2014/11/10/would-hillary-be-good-for-the-holy-land/. Daily Kos, “Hillary Clinton on foreign policy: Critical perspectives from the Left,” Daily Kos, May 3, 2015,http://www.dailykos.com/story/2015/05/04/1373929/-Hillary-Clinton-on-foreign-policy-Critical-perspectives-from-the-Left. Jacob Kornbluh, “Hillary Clinton Bashes Israel’s Settlement Activity, Highlights Yelling Sessions W/ Netanyahu,” JP Updates, July 27, 2014, http://jpupdates.com/2014/07/27/hillary-clinton-bashed-israels-settlement-activity-highlights-yelling-sessions-w-netanyahu/. David Bromwich, “Hillary Clinton showed more spine with Netanyahu than Obama has,” Mondoweiss, February 4, 2013, http://mondoweiss.net/2013/02/hillary-netanyahu-occasions. Amnesty International, “Families Under the Rubble,” November 2014,http://www.amnesty.org/en/library/asset/MDE15/032/2014/en/613926df-68c4-47bb-b587-00975f014e4b/mde150322014en.pd. Noura Erakat, “Israel Will Invade Gaza Again—the Only Question is How Soon,” The Nation, July 8, 2015,http://www.thenation.com/article/israel-will-invade-gaza-again-the-only-question-is-how-soon/. Philip Weiss, “Hillary Clinton promises megadonor she will work with Republicans– to oppose BDS,” Mondoweiss, July 6, 2015, http://mondoweiss.net/2015/07/promises-megadonor-republicans. Kira Lerner, “As Hillary Announces for President, Four Questions She Should Answer,” ThinkProgress, April 10, 2015,http://thinkprogress.org/election/2015/04/10/3644602/hillary-clinton-foreign-policy/. Philip Rucker, “Hillary Clinton’s Putin-Hitler comments draw rebukes as she wades into Ukraine conflict,” The Washington Post, March 5, 2014, http://www.washingtonpost.com/politics/hillary-clintons-putin-hitler-comments-draw-rebukes-as-she-wades-into-ukraine-conflict/2014/03/05/31a748d8-a486-11e3-84d4-e59b1709222c_story.html.